Last year we pledged to raise £10,000 for Combat Stress by the end of 2014. To be successful in our quest we need to raise a lot more money, so we have got a gruelling year of charity challenges ahead. Luckily us giants are a hardy lot and many of us have signed up for the events, some of which are pretty mad! The first event we have planned is the Beast in the East 10K around one of the UK’s best motocross circuits in Swanley, Kent. 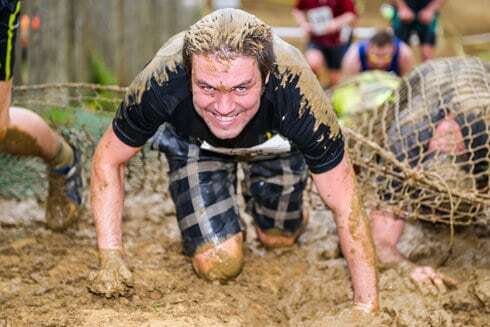 This challenge on 3rd May is not for the faint hearted. Not only do you have to run 10k but you need to navigate the muddy course that would normally have motocross bikes whizzing round it. The runners also have to traverse the lake full of cold water, and tackle various other obstacles on their way round. The next event planned is the British 10K, which takes place in London on 13th July. Last year it was over 30 degrees on the day of this event, so this could be a toughie. The race will take our guys past iconic London sights including Trafalgar Square, the London Eye and the Cenotaph. Again in July, we have a group travelling up to the Yorkshire Dales to attempt the Yorkshire Three Peaks Challenge. The aim is to scale three of the National Park’s peaks within 12 hours. 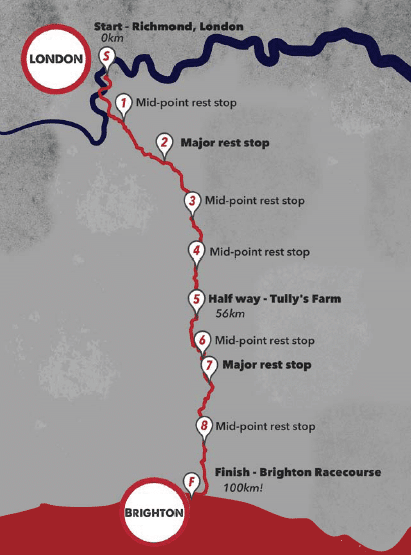 The route is 26 miles long so it’s practically a marathon! I’m doing this one and I’m really looking forward to it. It’s going to be a tough personal challenge for me but the sense of achievement is going to be worth it. Finally, this is the big one. In August, a group from Sleeping Giant will be kayaking around the entire Kent coastline, a distance of 150 miles. The intended route starts in Gravesend on the River Thames and ends in Rye, East Sussex. The kayaking challenge is going to be both a physical and mental challenge for all taking part. The fundraising target for this challenge alone is £5,000. For all the events throughout the year we are looking for sponsors. Individuals looking to sponsor us can go straight to our Just Giving page to donate online. Alternatively, text the CSGM49 with the amount you want to donate to 70070, e.g. CSGM49 £10. We would like to ask companies to offer us corporate sponsorship. We have devised a corporate sponsorship package that will support all of our events throughout the year and help us to reach our target of £10,000. We are also looking for a supplier sponsor to provide us with the equipment and clothing required to complete the kayaking challenge. Please take a look at our £10,000 challenge page for more information on the corporate sponsorship package.